with illustrations by Jim McWeeney, is the right start. This is the story of a baseball that dreams of “doing something that people will remember for a long, long time.” Billy the Baseball tells his own story from his start “as a small round cork in a factory far away” until “one very special day.” No, Billy the Baseball doesn’t get to wear an old top hat with some magic in it, but his story is nearly as exciting as the opposite season’s extreme. Aimed at small children, the illustrations are bright and tell the story for youngsters too small to read the words themselves. The book does not indicate a readers’ age range, but the amount of text per page would be a challenge for a young reader. We wonder if kids today have any idea what cork is or where it comes from. Make that a talking point when you share it with your little one. As boys from the old neighborhood will tell you, it’s practically a right of youthful passage to take apart a golf ball or a baseball and see what’s inside, what makes it bounce. Billy tells us what we’ll find in a Major League baseball from the inside out. Cervasio works in the detail of Billy’s transition from a white, shiny, slippery ball and the legendary New Jersey mud that prepares Major League baseballs for play. 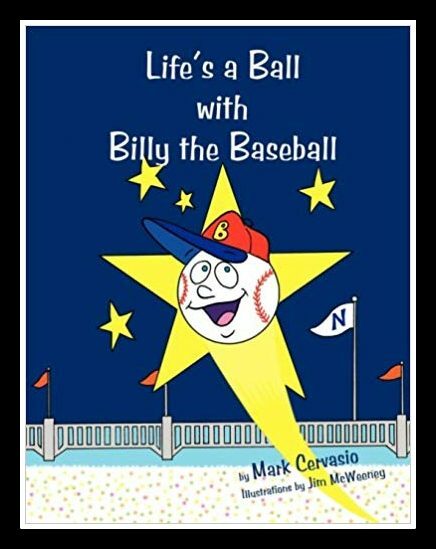 Without spoiling the book, something very exciting and unforgettable happens to Billy the Baseball and the book will undoubtedly charm younger readers. We wouldn’t be surprised to find adults reading to the end after the little ones have gone off to sleep. 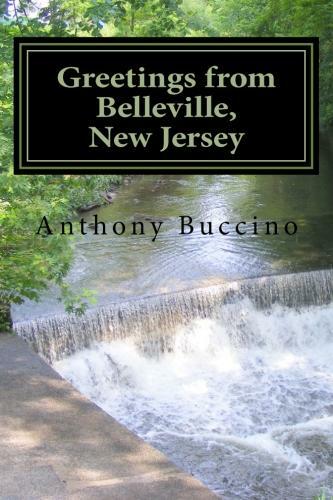 DISCLOSURE: Mark Cervasio attended Belleville schools one year behind the reviewer. In all that time until now, the two have never said a word to each other. A complimentary copy for review consideration was submitted.